Toon Kairi & Xion VIP Quests Pt.2 and More! *Offer expires on Dec. 23, 2018 11:59 p.m. (PT) / Dec. 24, 2018 7:59 (UTC). 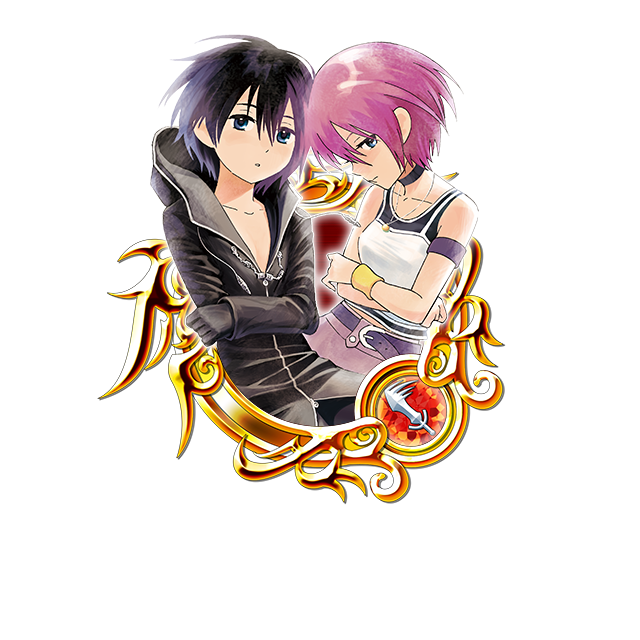 ● VIP Toon Kairi & Xion Medal and 1400 Jewels Quest! Complete this quest to obtain a total of four Toon Kairi & Xion Medals, one Trait Medal #62, and 1400 Jewels! The Supernova - Sephiroth Deal Returns! ★ Supernova - Sephiroth returns yet again! Purchase the Weekly Jewels Extravaganza to get him within 5 draws! The Supernova - Sephiroth Deal returns again, this time with the option to VIP Draw! The VIP Draw provides additional perks to your standard draw, one of which guarantees Supernova - Sephiroth within 5 VIP Draws from this Deal! See below for standard and VIP Draw details from the Supernova - Sephiroth Deal! Other Guaranteed Medals ・One Trait Medal #48 per draw! 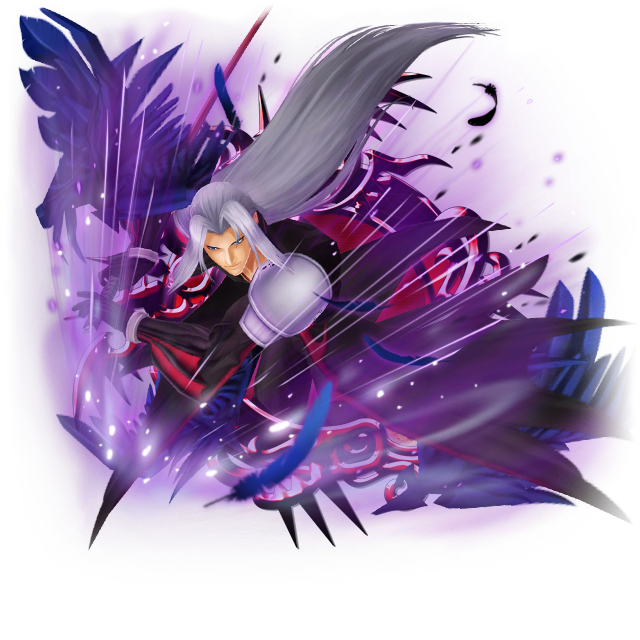 ・One 7★ Tier 7 Medal OR Supernova - Sephiroth per draw! ・5x Magic Mirror ・One Trait Medal #48 per draw! * The standard version of the Supernova - Sephiroth Deal does NOT come with a "guaranteed within x draws" aspect. Festive Green Hat and Festive Ribbon Union Cross! ★ Obtain the Green Festive Hat and Festive Ribbon spirit parts, and other rewards! This time there are a total of 6 Cross Boards, 4 of which will be unlocked from the start (Magic Broom Set #2 and Magic Mirror Set #2 will unlock sequentially as follows below). Complete them to earn the new Green Festive Hat and Festive Ribbon spirit parts, and more! ★ Fight alongside your party to defeat the Holiday Sleigh in this Raid Boss Event! Defeat the Holiday Sleigh Raid Boss with your party members to earn Raid Coins, which you can use to get fabulous rewards, including Magic Broom, Magic Mirror, Chip, and Dale Medals ! The Raid Board for this Raid Event will be available until Dec. 24, 2018 11:59 a.m. (PT) / Dec. 24, 2018 19:59 (UTC). Upon successful defeat of the Holiday Sleigh, the raid boss level will increase by 1. NOTE: When the Holiday Sleigh appears, you will not be able to proceed in the latest main quest. On Saturday and Sunday, the Raid Boss will be available all day, until the event ends on Dec. 23, 2018 11:59 p.m. (PT) / Dec. 24, 2018 7:59 (UTC)! Is there a way to track avatar boards? Been hoping they release one for KH2 & KH3 Riku. We already have KH3 Sora and Kairi so hoping we get Riku towards Christmas or New Years! We keep track of all the avatar boards on our main site. any estimate on the next story or proud mode update?